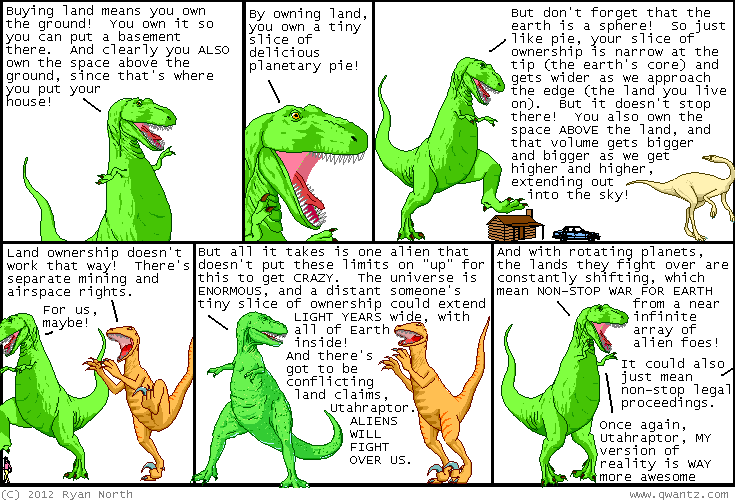 Dinosaur Comics - February 27th, 2012 - awesome fun times! February 27th, 2012: Thanks for reading my comic today everybody! There's more words down here but the comic is up there. If you started here I question your reading order - and yet, I fully respect it! !